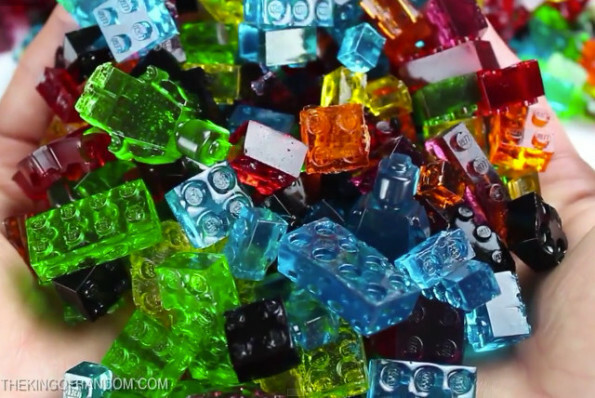 Now You Can Make Your Own Gummy LEGO Candy! The King of Random aka Grant Thompson brings us this video tutorial on how to make gummy LEGO candy that you can really build with! All you need is some Jell-O, corn syrup, 2 packets of gelatin, water, and a mold. Want even more info before diving in? Grant gives a way more in-depth explanation over at Instructables (HERE! ), where he also warns that after experiencing these gummies, some kids might mistake real bricks for candy. And may I add: that goes for some adults too. I’m talking about me!